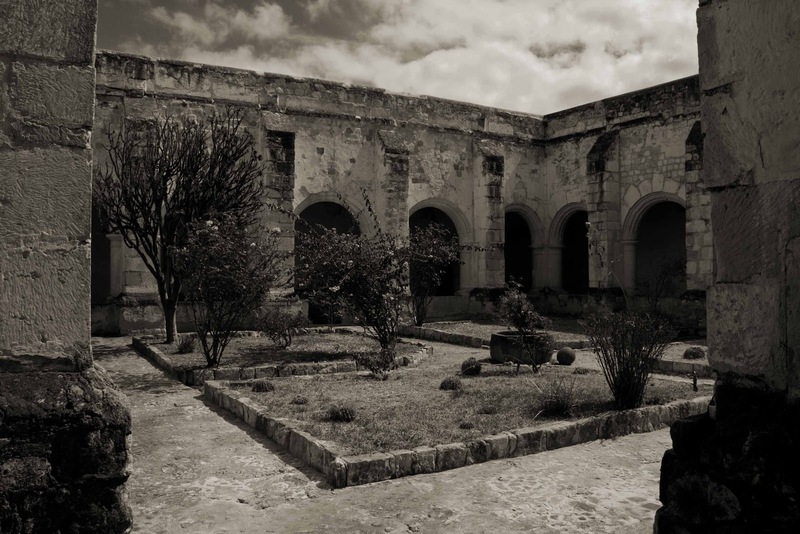 Coixtlahuaca was originally founded in the classic period by chocholteca. 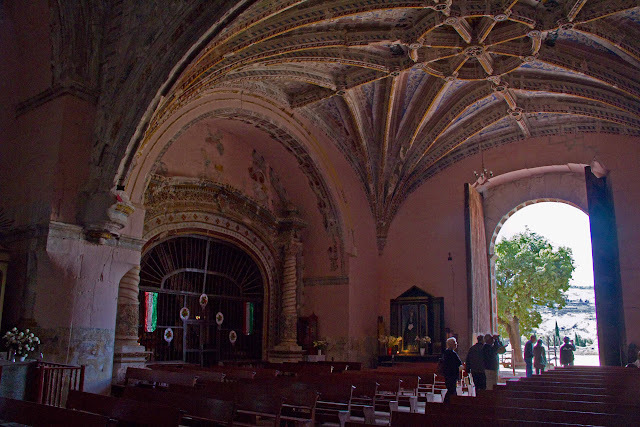 Nahuatl was the language used throughout the Anahuac from the Classic period. In Nahuatl, Coixtlahuaca means in the plain of the snakes. Coixtlahuaca was an important commercial center in the Mixteca. The market or tinguis performing in Coixtlahuaca had a great influence throughout the Mixteca region. In 1462, it was conquered by the Aztecs. 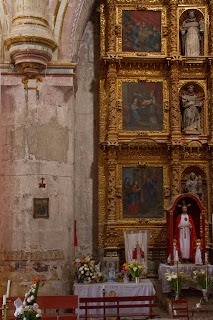 After the Spanish Conquest, the Dominicans arrived in the area and by 1545, the friar Francisco Marín built the open chapel, with a central arch and four sides, vestry and room for the choir. 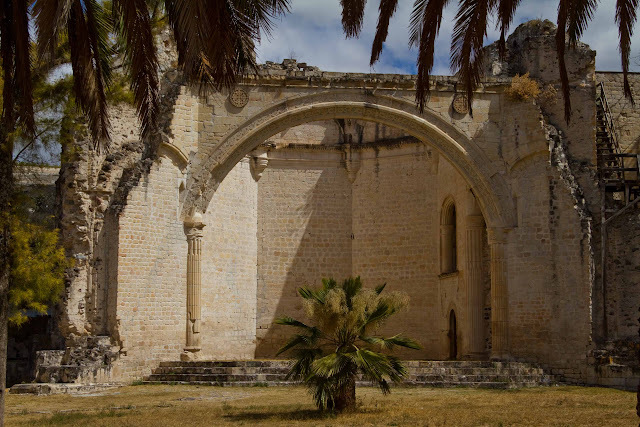 Although there is unfortunately no longer the vault, the remains show us the knowledge and mastery of the techniques that were used to carve the stone and construct this chapel. 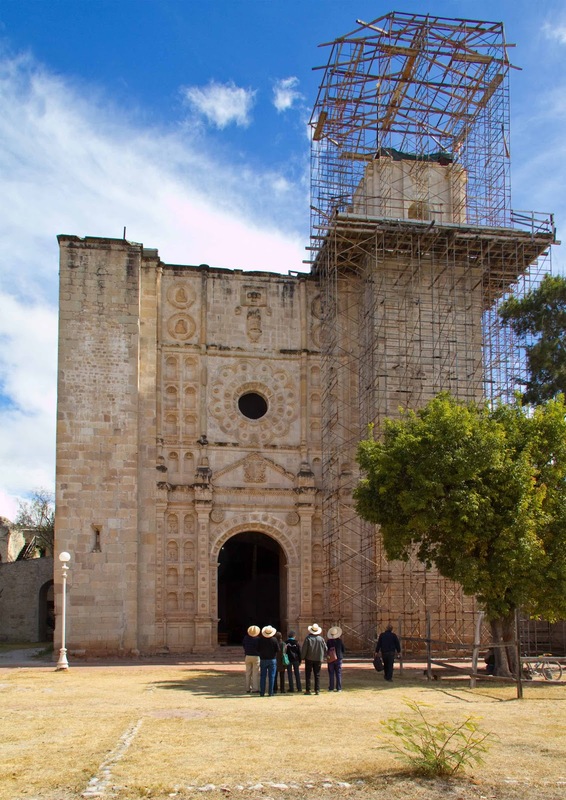 The main attraction is the Iglesia de San Juan Bautista Completed in 1576, it is of Renaissance style with rose windows, sculptures, and a main entrance with dozens of recesses. 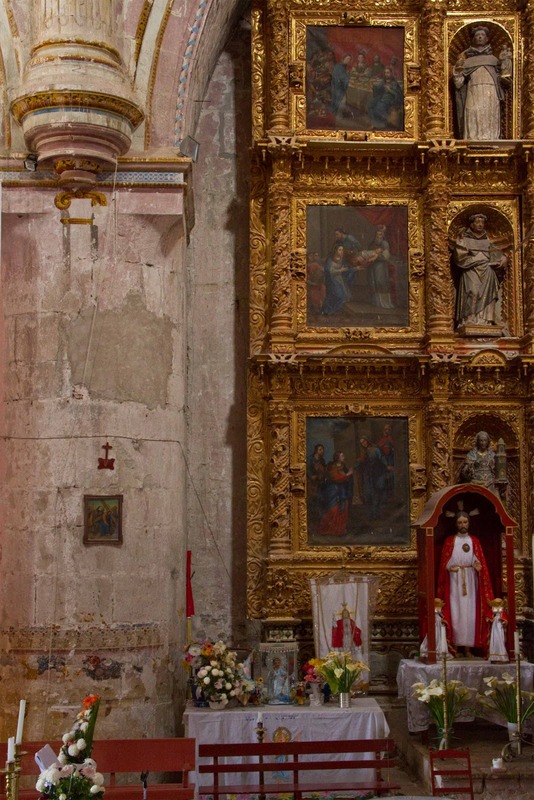 It also has a Baroque-style altarpiece (retablo). 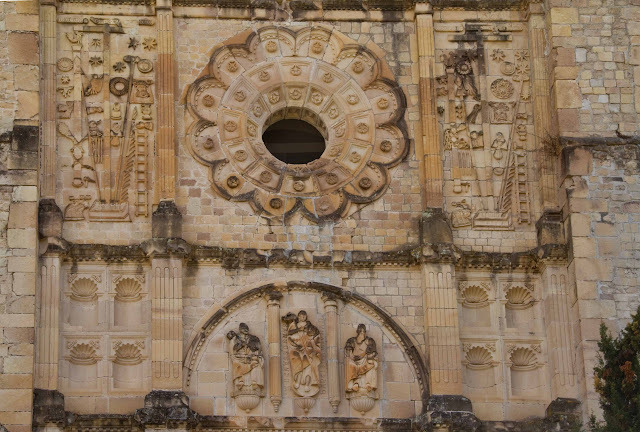 On the side of the church facing the open chapel there is a rose window flanked by engraved attributes of the Passion of Christ in the indigenous style of sculpture. the church must have had two towers of which only one remains. 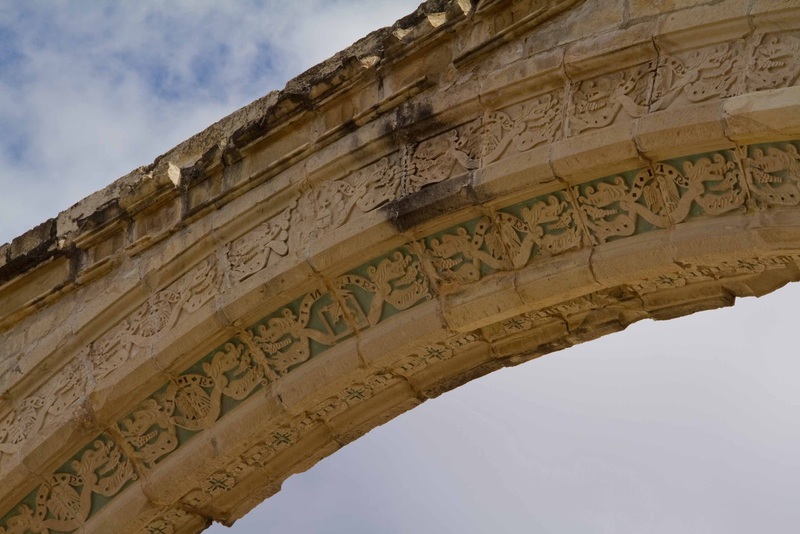 On the frieze delineated by cornices appears date of 1576, which may have been the year of the conclusion or the dedication of the temple. 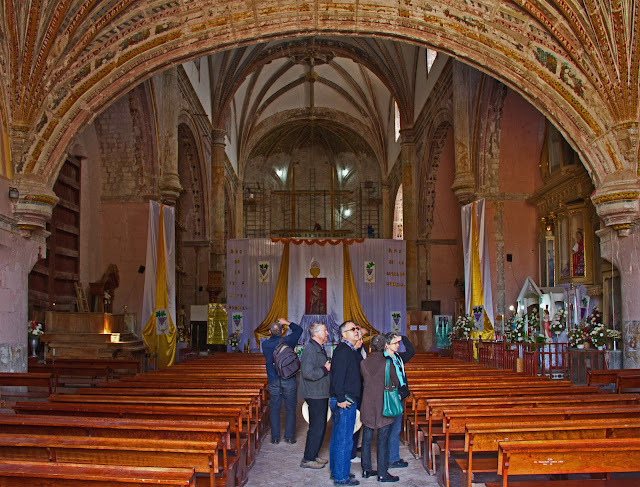 In addition, there are two side altars, one dedicated to Our Lady of the Rosary and the other to Our Lady of Atocha, the majority of works are of Andres de la Concha. San Juan Bautista Coixtlahuaca is located northwest of Oaxaca City, 113 kilometers (70 miles), via highway 131-D bound for Mexico City. Driving time is approximately an hour and a half. Much of the former convent has now been restored. For more pictures which can be viewed in larger format please visit my picasa web album.